ASTM Standards series ASTM International is a voluntary standards development organizations in the world-a trusted source for technical standards for materials, products, systems, and services. Known for their high technical quality and market relevancy, ASTM International standards plays important role in the information infrastructure that guides design, manufacturing and trade in the global economy. ASTM International was originally known as the American Society for Testing and Materials (ASTM), which was formed over a century ago, where a group of engineers and scientists got together to address frequent rail breaks in the burgeoning railroad industry. The works of this engineers and scientists led to standardization on the steel used in rail construction, ultimately improving railroad safety for the public. As time proceed, industrialization, governmental and environmental developments leads to new standardization requirements, ASTM answered the call with consensus standards that have made products and services safer, better and more cost-effective. 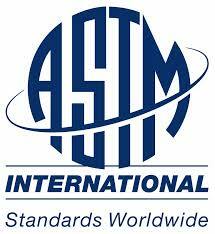 The proud tradition and forward vision that started in 1898 is still the hallmark of ASTM International. Till now, ASTM is still playing a leadership role in addressing the standardization needs of the global marketplace. ASTM, well known for its best in class practices for standards development and delivery, is at the forefront in the use of innovative technology to help its members do standards development work, while also increasing the accessibility of ASTM International standards to the world. Download all the 14 volumes, no password needed to unrar.